The Fishing and Hatch Report is courtesy of John Ross of Two Rivers Emporium in Pinedale. 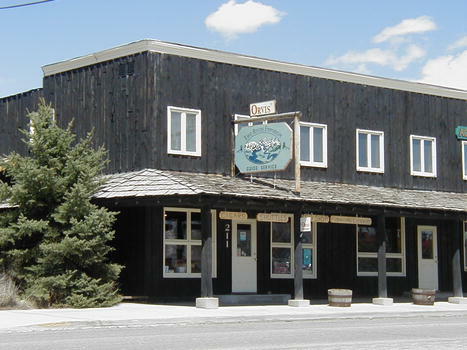 Two Rivers Emporium offers professional fishing guide services on area streams, as well as an Orvis fly fishing shop located in downtown Pinedale. They can be found on the web at www.2rivers.net. Summer is here and the fishing is great. The Green River is fishing great! Hoppers are out in full force, so trout are looking up for big flies. Caddis in the evenings. Our hatches are great this summer and so is the population of trout. The high country is great; all the summer rain has helped us have great stream fishing in the Wind Rivers. Dries - Small Olive Hoppers, Beetles, Parachute Adams, Caddis, Humpies. Nymphs - Soft Hackle P.T., Prince Nymph, Bird of Prey, Montana Prince. Streamers - Beldar Bugger, Small Woolly Buggers, Orange Blossum Special.